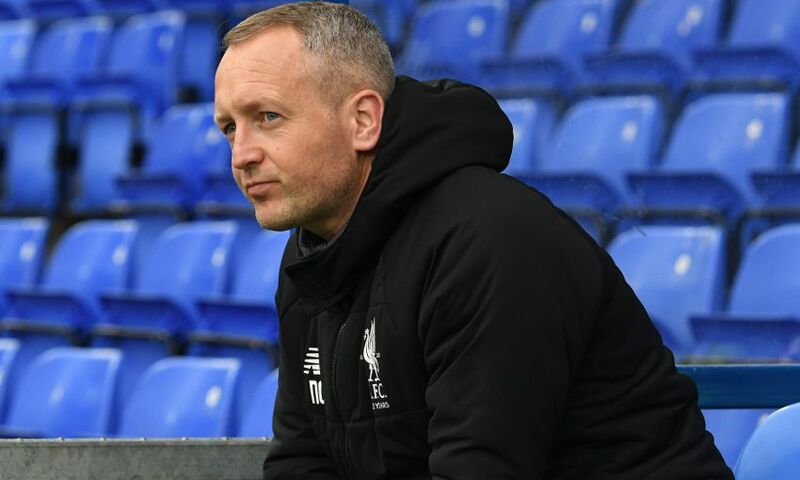 As Liverpool U23s prepare to take on Everton in the mini-derby on Monday night, Neil Critchley is hoping his side can keep their Premier League 2 title dreams alive. The young Reds will move to within two points of leaders Arsenal with just one more game to play if they can beat the Blues this evening. Monday’s clash with David Unsworth’s team will be shown live on LFCTV and LFCTV GO, with our coverage starting at 6.30pm BST. I thought over the 90 minutes we were the deserved winners of the game. I was really pleased with the performance and thought we were terrific at times. The longer the game went on, we became the dominant team and I think that was due to the positivity which we showed. We have had some difficult results recently but the attitude and the belief we showed and the way the boys played, I was desperately disappointed for them at the end because I wanted them to have that feeling of winning the game. They didn’t get that feeling and it was a sickener for them to score two minutes into injury time because we should have got the three points. We always look forward to the derby games. We are still in there fighting. Those two extra points against Arsenal would have made a massive difference but if were to beat Everton we might take it down to the last game. Hopefully we can. If the football Gods are smiling on us I think we deserve to take it down to the last game but we have to beat Everton and we will have to play well to do that. The first game we played against them this season David was in charge of their first team which was unbelievable for him. He is obviously back with the U23s now and he was very successful last year. They have got some very good players. I think they are very similar to us because they are a little bit younger and it will be different to the first game. You know when you play against Everton they are going to be hard to beat, they will be well organised and they have got some quality players as well, so nothing but our best and a A-star performance is needed if we are going to get the three points. We’ve missed Nat. We’ve missed him on the training pitch and in the dressing room. It’s great to have him back. I thought he started off the season ever so well for us. He’s a consummate professional and he works every single day to get better. You wouldn’t think looking at him but he’s a late developer. It was an unfortunate injury he had but he’s come through that and hopefully now he can stay injury free and push on for this season and beyond because of his performances. The game he played for us against Manchester United at Anfield - he had only trained two days before that and it was a testament to himself. He has been fantastic for us since he returned. It was a terrific strike, unexpected, but it was lovely ball from Yan [Dhanda] and Tony has met it with a great strike. I thought Tony was excellent on the night as were a lot of the players, particularly the back four and the goalkeeper. I thought we defended very well as a team. The midfield players got about their midfield and stopped them from playing, we pressed well from the front, had good spells of possession and we created some good chances. We just didn’t take them chances and unfortunately we got punished for that in the end. We were terrific that night, we played ever so well and deservedly won the game, but no two games are the same and it will be completely different on Monday with a completely different set of players. I think that shows the development of both teams and it can be like that at U23 level. The team you have at the start is not always the team at the end. Maybe the ones who do keep that team are the most consistent ones and end up finishing right near the top. We are different, we always have been different. 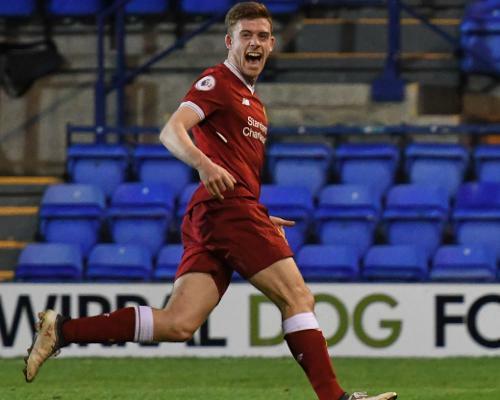 If we approached it differently then maybe Conor Masterson, Rafa [Camacho], Curtis [Jones] and Ben Woodburn wouldn’t have been on the bench for the first team. Maybe those players don’t get those opportunities because they are still playing for the U23s. We don’t want that, we want our players to progress and go out and play. Whether that’s on loan like some of our players are at the moment then brilliant. If our results suffer a little bit which they have done then so be it. We believe in the bigger picture.